Average Home Size: 2,403 sq. ft.
*Data from Feb 2016 - Feb 2017. See more market updates here. Clifford Heights, once known as Rattlesnake Hill, but more commonly known today as Palomar Park, is well known for its strong sense of community. 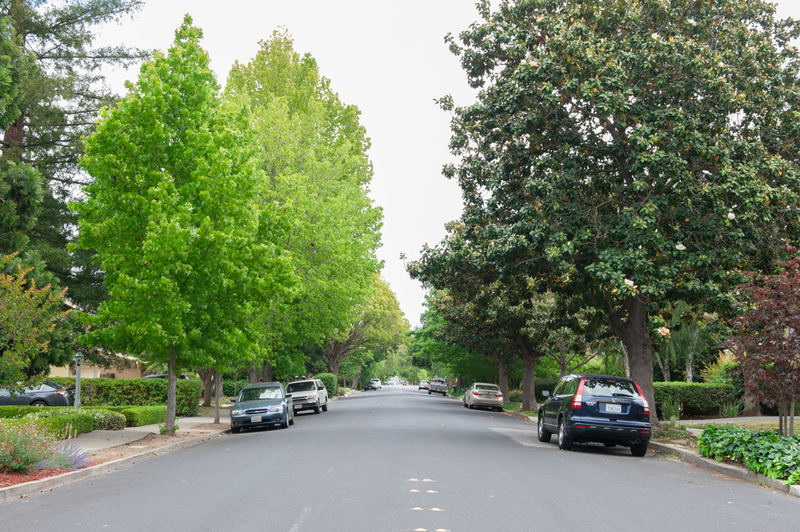 The Palomar Property Owners was established in 1956, and residents work to maintain roads, fences, and community property in the neighborhood. They also hold social events, such as an annual neighborhood picnic. Palomar Park borders Cordilleras Heights and offers similar hilly terrain and luxury homes on large lots. There are less than 1,000 residents and 300 homes in this secluded, woodsy borough. Clifford Heights has diverse housing ranging from mid-century modern gems to palatial mansions. Lower Clifford Heights has traditional suburban ranchers, built in the 60s and 70s. As you get further up into the hills, homes offer panoramic views and bigger lot sizes. The neighborhood is also homes to Bella Roche Estates, a development built in the 1990s and early 2000s, which is made up of sixteen 4,000 square foot mansions, each on its own ½ acre. In 1927 Laura and AJ Harwood built the first home in the neighborhood at 158 Palomar Drive. They formed PalPar Inc. and developed 423 acres in the area. Clifford Heights runs from Edgewood Road north to the San Carlos border, and from Alameda de las Pulgas west to Highway 280. 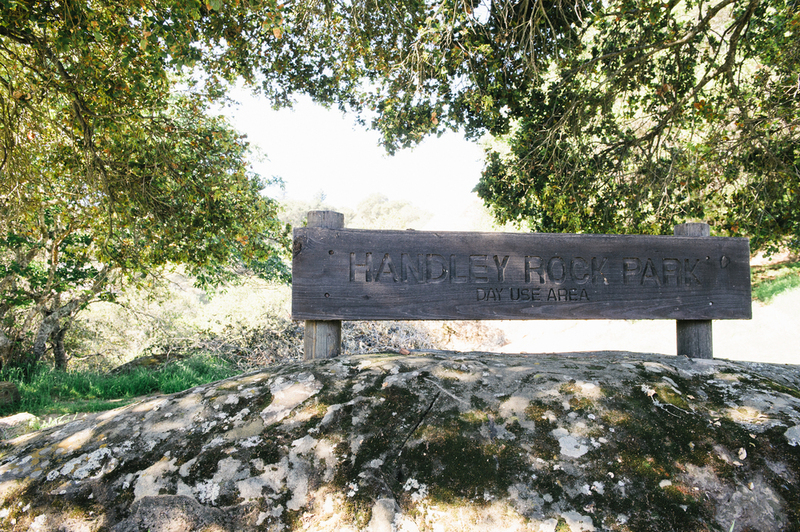 The neighborhood offers rural seclusion, yet is just minutes to downtown Redwood City or San Carlos. Average Home Size: 1,791 sq. ft.
*Data from Sep 2016 - Feb 2017. See more market updates here. 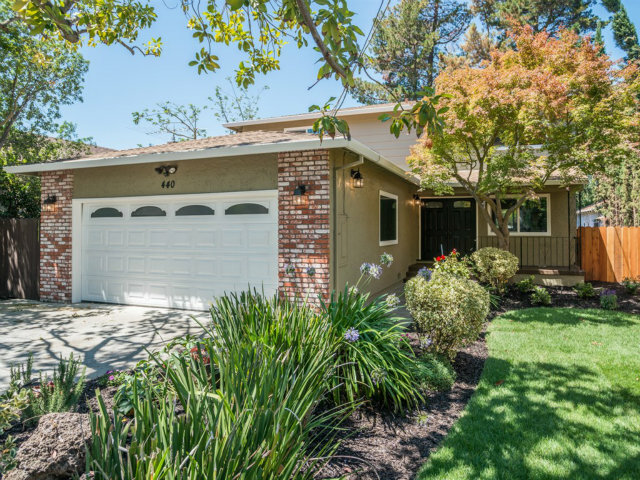 High School Acres, home of the first high school in San Mateo County, is right in the heart of Redwood City and offers a wide range of homes, from charming bungalows to sprawling estates. Most of the area is within walking or biking distance to Redwood City’s revitalized Downtown Center, including the movie theater, restaurants, coffee shops, and shopping. 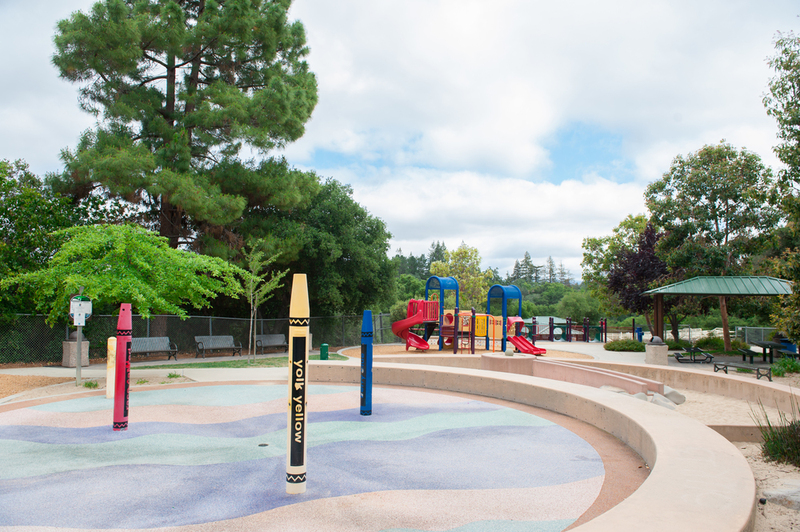 The area is also home to two of Redwood City’s most loved park and recreation areas: Stafford Park and Red Morton Community Park. Mount Carmel is full of charming 1920s bungalows, Spanish/Mediterraneans, Tudors, and English cottages, along with 1940s and 50s ranchers. It’s a great neighborhood for mid-level home buyers. Many of the original homes have 2-3 bedrooms and are less than 2,000 sq. feet while newer homes in the area can be much larger with two stories and over 2,000 sq. feet of living space. Wellesley Park is bounded by Finger Avenue/Edgewood Road, El Camino Real, Arlington Road, and Wellesley Circle. Wellesley Land and Improvement Company subdivided 153 lots in 1889, making it the city’s first residential development west of El Camino. Not all the original homes are still standing today, but you can still see the neighborhood’s rich history in the large, stately Victorians, Mediterraneans, and Arts and Crafts homes around Wellesley Crescent Park. Edgewood Park is home to Redwood City’s original ”Millionaire’s Row,” which boasts expansive lots and vintage estates, with prices starting in the millions. The small blocks that run between Edgewood Road and Arlington Road are home to smaller homes built in the 1950s and 60s, with 3-5 bedrooms, and on average more than 2,000 sq. feet. High School Acres is named for Sequoia High School, the first high school in San Mateo County. The high school first opened downtown in 1895 in the building that is now the Fox Theater. In 1924, it landed at it’s current address at 1201 Brewster Avenue. The campus is rich with Spanish Architecture, a Japanese Tea Garden, and a Sequoia Grove. High School Acres covers the area from Jefferson Avenue north to the San Carlos Border, and from El Camino Real west to Alameda de las Pulgas. Average Home Size: 1,846 sq. ft.
Just west of Alameda de las Pulgas, where the flatlands change to sloping hills, you will find Farm Hill Estates. This neighborhood offers all the amenities of a suburban setting with beautiful scenery and excellent bay views. Homes here are more expensive than Redwood City’s eastern boroughs, and are priced in the middle to upper middle end of the market. Farm Hill Estates is close to 280, Canada College, and Edgewood Park. Farm Hills Estates is located in the hills of Redwood City, between Farm Hill Blvd and Jefferson Ave. The majority of homes in the area were built in the 1950's, exceed 2,000 square feet, and are on lots over 7,000 square feet. There are properties with great views of the bay and looking south towards Stanford University. Sterling Heights is located between Jefferson Ave/Farm Hill Blvd and Alameda de Las Pulgas, bordering Woodside. Like Farm Hills Estates, Sterling Heights was built up around the 1950's but most homes in the area are between 1,250-2,000 square feet with lot sizes exceeding 6,000 square feet. Andy Oddstad, built thousands of homes in San Mateo County after WWII and developed many of the homes in Farm Hill Estates in the mid 1950s to 60s. Many are about 2,000 square feet, 3-4 bedrooms, and split-level or two-stories to take advantage of panoramic bay views. Farm Hill Estates spans from Jefferson/Farm Hill Road south to Woodside Road, and from Alameda de las Pulgas west towards Highway 280. Average Home Size: 2,281 sq. ft.
Cordilleras Heights is better known as Emerald Hills or Emerald Lake Hills. Here you’ll find expansive lots and panoramic views, as well as homes that range from rustic 1920s log cabins to some of the city’s most expensive real estate. 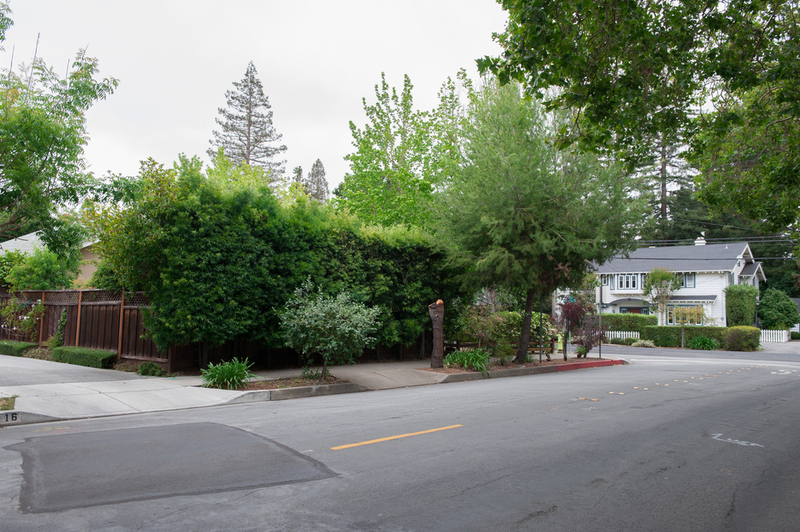 This part of the city has narrow streets sans sidewalks that wind their way through the hills, akin to neighboring city of Woodside with a Lake Tahoe or West Marin country vibe. Homes closer to Alameda de las Pulgas are less rustic and more suburban, and offer easy access to Downtown Redwood City. Many homes in Cordilleras Heights were built in the last 25 years, since the area didn’t have a sewer system until 1982, and there was a building moratorium between the 1970s and 1986. 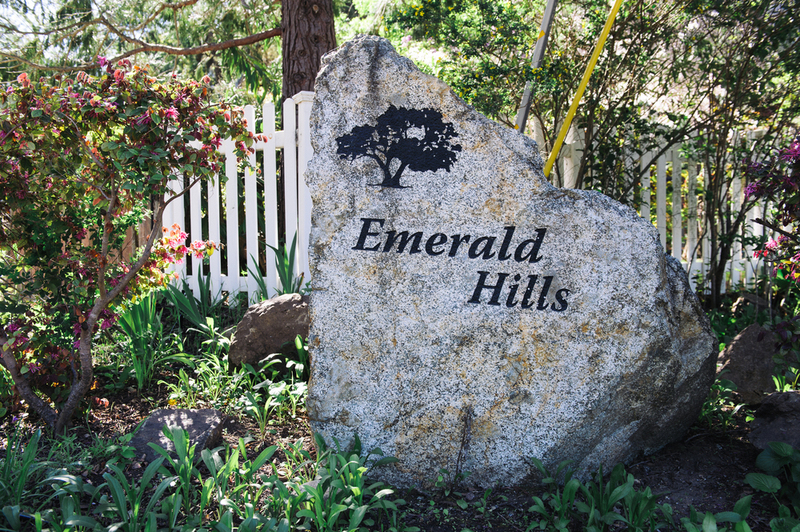 Emerald Hills also has some of the largest lot sizes in the city, and offers a great value compared to similar homes in Woodside and Hillsborough. Neighborhood businesses are centered around the small shopping center at Oak Knoll Drive and Canyon Road. There you can find Canyon Coffee, a local coffee shop, Sancho’s Taqueria, Speederia Pizza, and Canyon Inn, a popular spot to grab a burger and watch the game. Emerald Lake has a rich history rooted in the Roaring 20s and the spirit of vacation living. In the 1920s George Irvine hoped to build a resort destination for folks from San Francisco. He called the area Emerald Hills and made a brochure, before losing the property to foreclosure. Soon after, Charles Holt and George Leonard acquired the land, built a golf course, and hosted picnics at Emerald Lake to lure potential homebuyers. With the end of the era came the Great Depression and a resort never materialized. Holt and Leonard lost their fortune, and development came to a halt with the exception of one-off rustic cabins, some of which you can still find dotting the hills today. Emerald Lake was incorporated in 1920 as a “non-profit athletic, recreational, and social facility”. In 1926, 20 homeowners bought Emerald Lake for $10 and created the Emerald Lake Country Club. The deed required that there would be no building of bars, livery stables, funeral establishments, or blacksmith shops. Today the club is owned and maintained by 50 families who pay dues and contribute work hours. Membership also opens annually to residents of the area for summer use of the lake. Holt and Leonard also built a second lake, now called Upper Emerald Lake complete with a beach, playground, and an outdoor amphitheater. 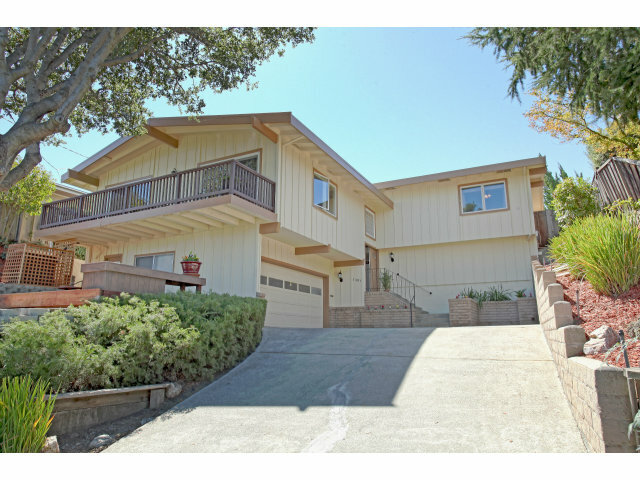 Homes around the private upper lake are some of the most desirable in Redwood City, and rarely show up on the market. Cordilleras Heights is named for the road that runs east to west through the neighborhood. The district spans from Alameda de las Pulgas west to Edgewood Park and Highway 280, and from Edgewood Road south to Jefferson Avenue/Farm Hill Boulevard. Average Home Size: 1,274 sq. ft. The residential district of Lenolt includes Downtown Redwood City, a thriving city center complete with boutique shopping, gourmet restaurants, hip coffee shops, and a movie theater. Silicon Valley startups are moving in, which adds another layer of vibrancy to the community. The area also offers easy access to the Redwood City Caltrain Station and Highway 101. The neighborhoods adjacent to downtown include some of the city’s notable historic homes, as well as options at the entry-level market. Much of the Lenolt neighborhood belongs to Clifford Elementary School (K-8), which is currently among the highest ranking schools in Redwood City. Stambaugh Heller is comprised of apartment buildings with some smaller single family homes. It is one of the most-densely populated neighborhoods in the city, with close to 10,000 residents per square mile. The neighborhood is close to downtown and offers residential areas mixed with industrial, retail, and office space. Homes here are at the entry level price point. The Centennial neighborhood spans from Whipple Avenue south to Main Street and from Veterans Boulevard west to El Camino Real. This area includes historic homes and buildings that make up Old Redwood City, from the San Mateo County Courthouse built in 1910 to the saloon Wyatt Earp used to frequent. Just north of Downtown offers a mix of pre-war bungalows, apartment buildings, and low-rise condos. As part of Redwood City’s downtown Precise Plan, new housing is also being constructed, including high-rise apartment buildings and luxury condos. Orion Alternative Elementary School is located here, which was a California Distinguished School in 2008. The neighborhood of Lenolt, also nicknamed the “ABC” streets for its alphabetical street names is a great-option for first-time home-buyers offering a combination of affordability and a family-friendly community. The homes here are single family homes built in the 1940s and 1950s and range from two to three bedrooms. This neighborhood is within a mile of downtown Redwood City, close to commute corridors, and the Caltrain station. Redwood City incorporated on March 27, 1868 making it the first city in San Mateo County. This area includes the harbor where ships delivered lumber each week, which is how Redwood City got its namesake, as well as the location of the first home constructed by Captain John Smith at Jefferson and Broadway. 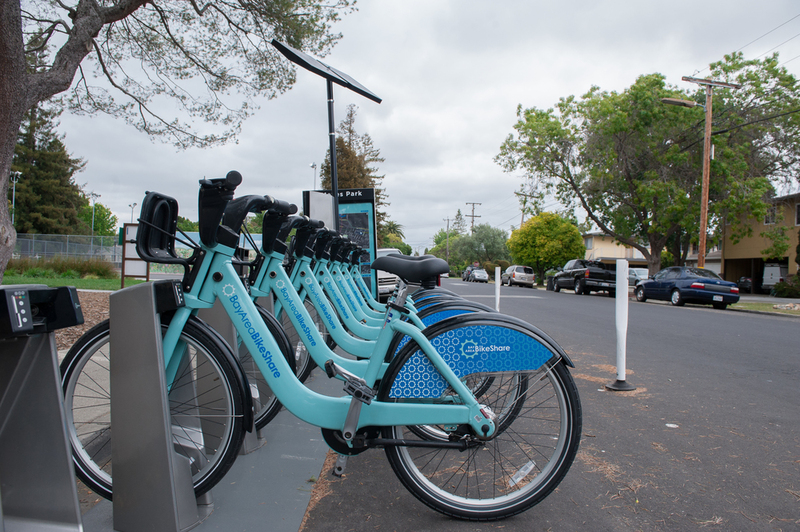 Located in the northeast part of Redwood City and spans From the San Carlos border south to Woodside Road, and from the bay to El Camino Real. Average Home Size: 1,489 sq. 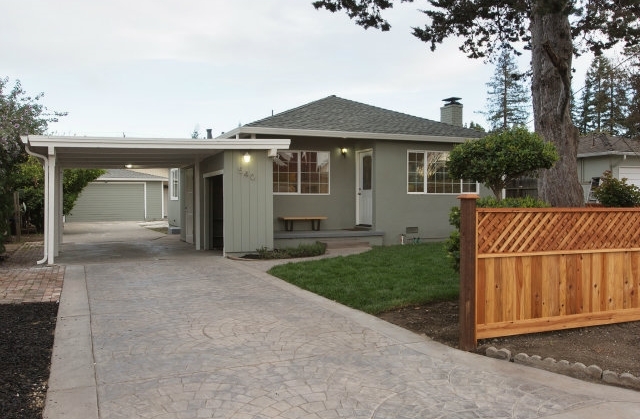 ft.
Roosevelt is a great neighborhood for first-time buyers in Redwood City. It’s less expensive than neighboring Mount Carmel, and offers a range of 1940s and 50s ranch homes, along with a few mid-century Eichlers. This neighborhood is home to Red Morton Community Park, a 30-acre space that once served as the training grounds for the San Francisco 49ers. Now the park is full of athletic fields, picnic areas, playgrounds, and open space. The historic Union Cemetery, is where the city’s early settlers are buried. It is a California Historical Landmark and is listed on the National Register of Historic Places. Average Home Size: 1,721 sq. 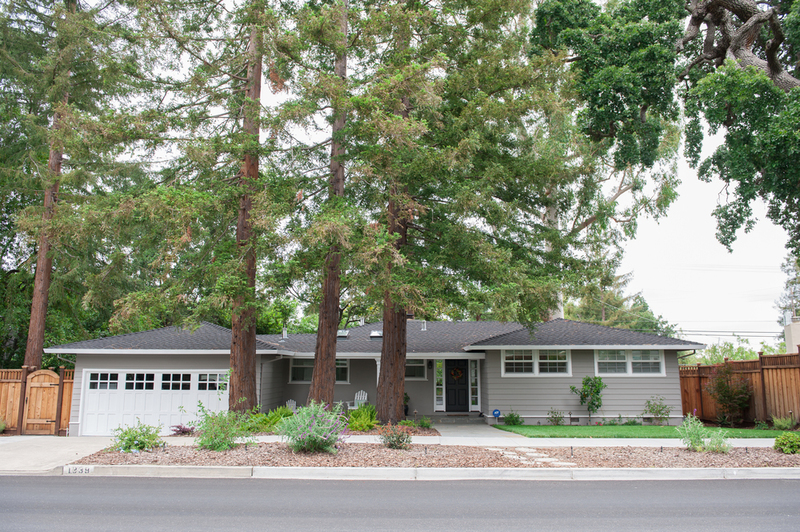 ft.
Horgan Ranch is bordered by Atherton, one of Silicon Valley’s most sought-after neighborhoods, and has a similar feel, but at a more affordable price point. The area includes semi-rural, wooded areas as well as more traditional suburban areas. It’s also located close to schools, shopping on Woodside Road, and has easy access to both Highway 101 and 280 for commuting. There is a wide assortment of homes in Horgan Ranch. Most homes were built between the 1950s and 1980s, but there are newer developments as well. The size of homes vary from cozy two-bedrooms to spacious estates-like residences over 3,000 square feet. Redwood Oaks and Selby Park. The area known today as Horgan Ranch was the center of a flourishing chrysanthemum industry, until the land was sold to real estate developers in the 1950s. Horgan Ranch spans from El Camino Real, west to Alameda de Las Puglas, and from Woodside Road to as far south as Stockbridge Avenue. Average Home Size: 1,374 sq. ft.
Dumbarton is the most affordable area of Redwood City and offers easy access to Downtown with restaurants, shopping, and entertainment. It is also located with convenient access to the Redwood City Caltrain station and Highway 101. Due to it’s central location, there is a lot of traffic congestion around Middlefield and Woodside Road during commute hours. There are also many apartment buildings, commercial, and industrial properties in the area, which gives it more of a gritty, urban vibe than many other Redwood City neighborhoods. Fair Oaks is adjacent to North Fair Oaks in Menlo Park and is home to Fair Oaks Community Center, the Fair Oaks Branch of the Redwood City Library and a variety of businesses, restaurants and shops along Middlefield Road. The North Fair Oaks Festival, in the summer, features a parade, live music, food and a crafts fair. Homes in this neighborhood are all different styles and size, and most were built between the 1920s and 1980s. Homes in Friendly Acres are at a higher price point than other neighborhoods in Dumbarton. Here you'll find one-story homes built just after WWII, along with some newer construction. Most homes range in size from 1,000 to 1,400 square feet. Dumbarton Park is the city’s most affordable neighborhood and is mostly made up of multi-residential buildings along with a handful of one and two bedroom single family homes built between WWII and the 1980s. Redwood Village is almost a square-mile and offers a mix of one and two story homes and apartment buildings. This neighborhood is also home to 10-acre Hoover Park which offers picnicking and athletic fields. The residents in the area are mostly renters and the Eastern border of Redwood Village is industrial. Dumbarton Park was once part of the Rancho de las Pulgas, which was owned by the Arguello family and used for horses and cattle. Located on the southeast corner of Redwood City, Dumbarton runs from El Camino Real east to Highway 101 and is bordered by Woodside Road on the north, and Marsh Road on the south.